Envisioned and created in collaboration with renowned tattoo artist Isaiah Toothtaker, implementing his progressive style using state of the art engineering coupled with years of tattooing experience and quality craftsmanship. 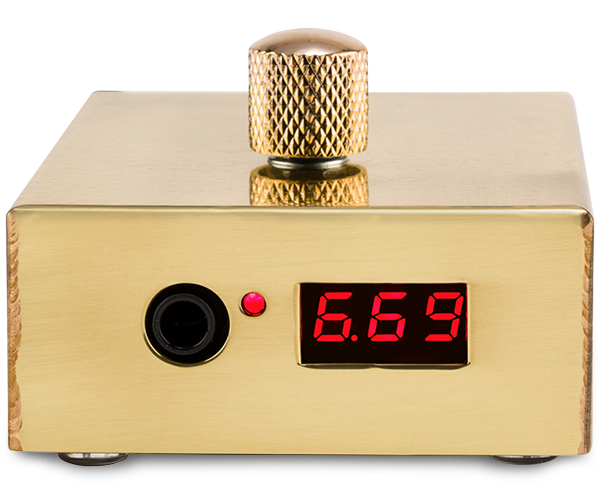 The 260 Brass enclosure retains a polished finish to radiate a gold like appearance that won't rust and houses an all digital compact circuit board resting on a 304 stainless steel base for durability. This attractive and unique unit is designed specifically for tattooing, optimizing usage to smoothly run both standard two-coil and rotary tattoo machines alike. 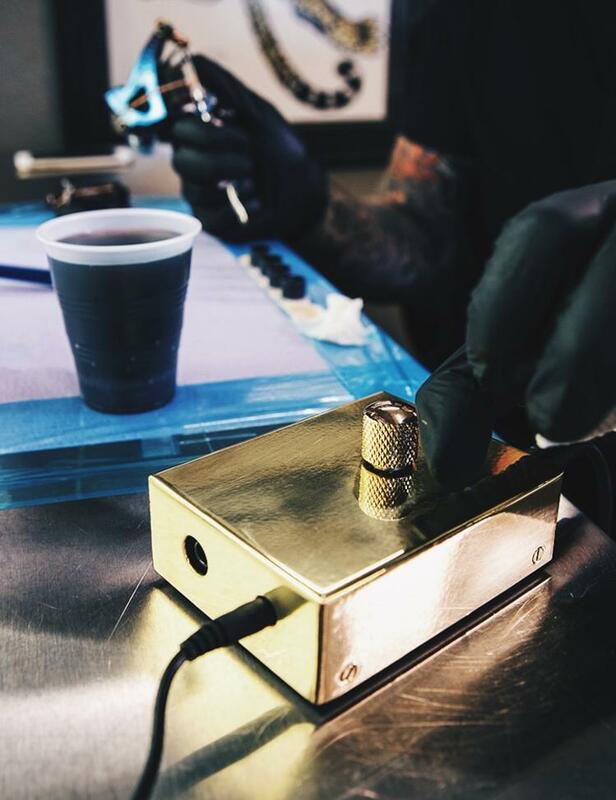 Eagleview has transformed the AC (alternate current) coming from the adapter into DC (direct current) inside the enclosure combining on demand power and reliability providing the tattooer with consistent currents throughout the tattoo cycle, resulting in ultra-pure DC power. 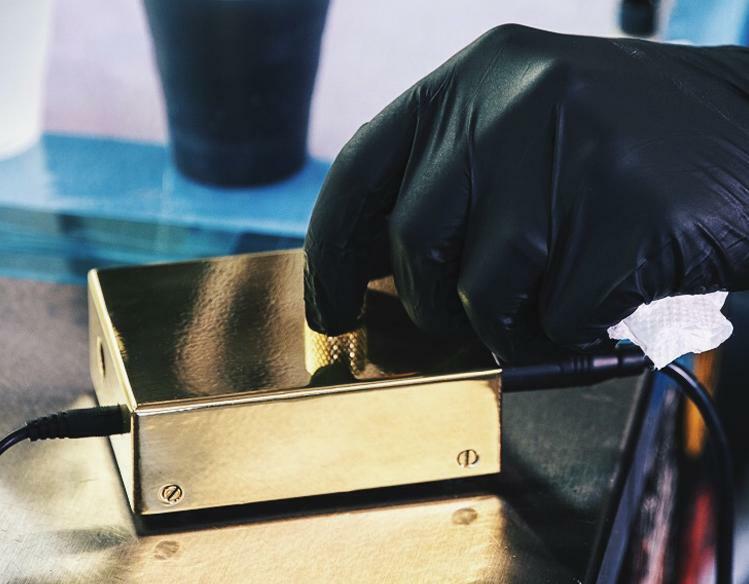 Extreme filtering through over 4,000 microfarads of capacitance minimizes machine resonance, vibration, chatter spots and increases needle push-pull torque. New features include a voltage output range from 1 to 17 Volts, recessed foot pedal jack in back and a high accuracy voltage display (LCD) showing minute changes in output voltage.